Gripen has for the first time undergone a series of test flights with 100% biofuel. This demonstrates that the aircraft can be flown with an alternative fuel and gives valuable knowledge for future possible use of alternative fuel. 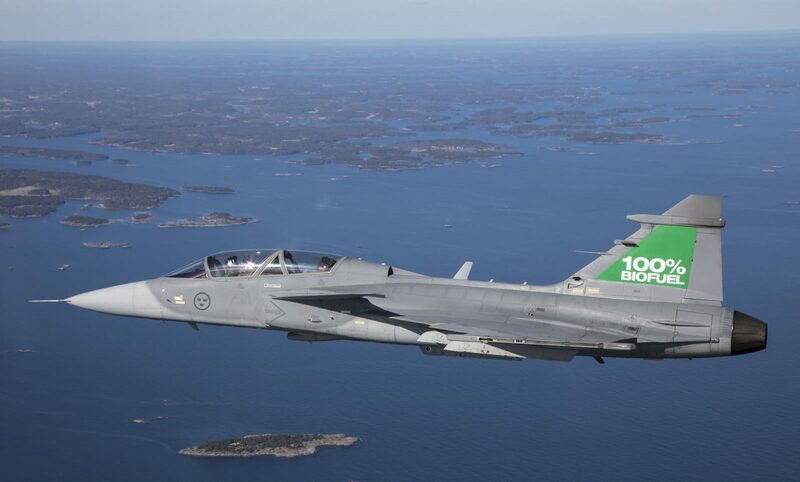 This was the first time that a single engine fighter flew with 100% biofuel. The flights were conducted with a Gripen D (dualseat) at Saab’s facilities in Linköping and went entirely as planned. The tested fuel (CHCJ-5) is made of rapeseed oil. The aircraft makes no differentiation as to whether the fuel is based on crude oil or vegetable oil. The fuel must fulfil the same requirements regardless of the raw material. The Swedish Defence Materiel Administration (FMV) is behind the project and besides FMV, Saab and GKN Aerospace, which produces the engine (RM12) for the Gripen C/D, has participated in the project. Through a bilateral agreement between Sweden and the United States, the US Navy and US Air Force have contributed with valuable knowledge and experience regarding certification of biofuel. 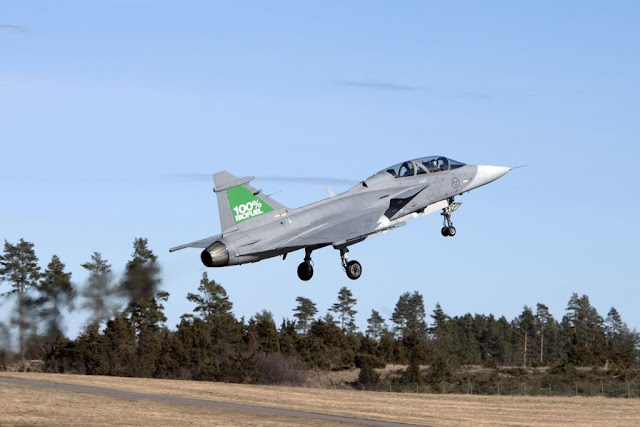 System testing, ground testing and flight testing have been conducted at Saab in Linköping together with GKN Aerospace.